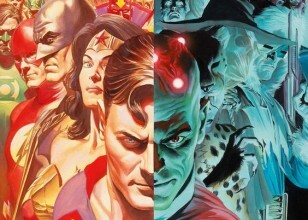 A fictional character, a DC Comics supervillainess who is primarily an enemy of Batman. Created by Robert Kanigher and Sheldon Moldoff, she first appeared in Batman #181 (June 1966). 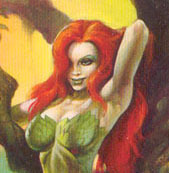 Poison Ivy, aka Pamela Ivy, is depicted as one of the world's most prominent eco-terrorists. She is obsessed with plants, botany and environmentalism. She uses toxins from plants and mind controlling pheromones for her criminal activities, which are usually aimed at protecting the natural environment. 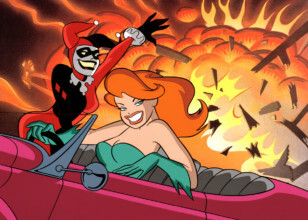 Fellow villain Harley Quinn is her recurring partner-in-crime and possibly her only human friend. She is best known as a villain of Batman and plays an important role in his rogues gallery and has proven to be one of his more powerful foes, being one of the few Batman villains to display anything close to superpowers. Pamela Isley a.k.a. Poison Ivy has been portrayed as a love interest for Batman in some comics. In one comic, Ivy was robbing a charity gala Bruce Wayne was attending. Ivy's first kiss was poison, the second its antidote. When they first meet, Ivy's toxic lips planted a seed of toxic rapture in Bruce. But when she later kissed a dying Dark Knight, Ivy unknowingly cured her intended victim and established a budding romantic tension between them. Creator Robert Kanigher modeled Poison Ivy after Bettie Page, giving her the same haircut and Southern drawl as Page. In her first appearances in 1966, no origin was developed; she was merely a temptress. At her first appearance, her costume was a one-piece, strapless green bathing suit, covered with leaves. Leaves also formed her bracelets, necklace and crown. She also wore green high heels and yellow-green nylon stockings with leaves painted on them. These particulars changed somewhat when she re-appeared. Later on in the 1986 series of the Batman comics, she wore only a few vines to cover up a small amount of her breasts. 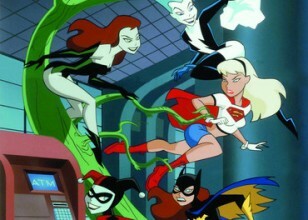 Poison Ivy was promoted after the rise of feminism brought the need for a greater number of more independent female villains in the series. She was also used to replace the increasingly sympathetic Catwoman as a clearly antagonistic female supervillian foil for Batman, and then made further appearances in the Batman comic book series and in Suicide Squad. An origin story was later created for her by Neil Gaiman, tying her in to Swamp Thing and his original Black Orchid as a human-plant hybrid. She has since appeared in starring roles in Gotham City Sirens and Birds of Prey.